Pancit Molo is both a comfort food and special dish that is served on special celebrations in Iloilo. 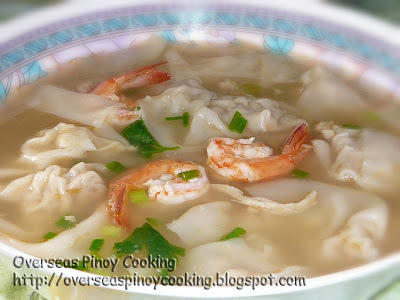 I have included pancit molo in my recommended celebration dish for the coming holiday for the reason that the dish is also served during Christmas on some Pinoy households. An authentic pancit molo has a simple filling that includes ground pork, crumbled taure (fermented soy beans curd), garlic, egg, soy sauce, salt and pepper. The molo heads or molo dumplings are folded in such a way that it resembles a nun’s hat. To make the dish, garlic, onions and shredded chicken are sautéed before adding the broth. The secret of the dish is from the quality of the broth. 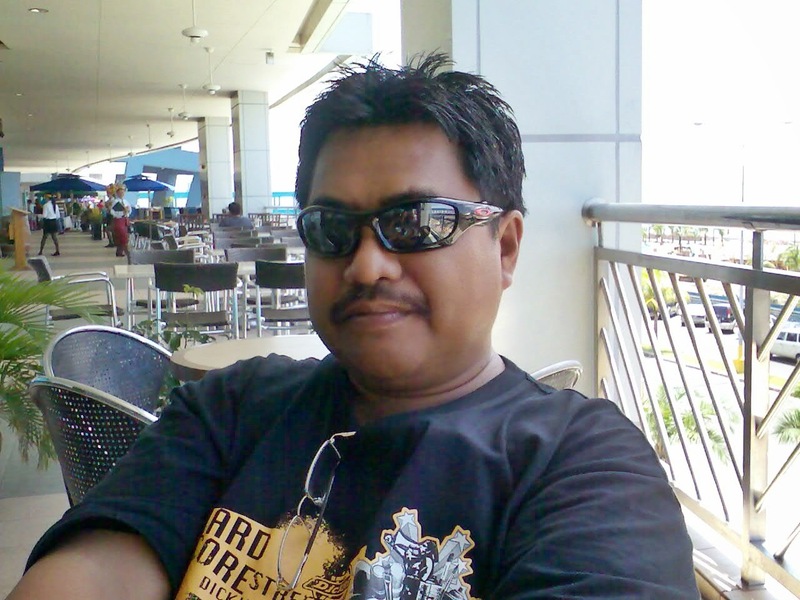 This is usually from boiled pork bones, chicken bones, and pounded shrimp heads. When adding the molo dumplings the heat should be set at moderately low setting, with just slight rolling of the simmering broth, this is to avoid the molo dumplings from disintegrating. When the molo dumplings float that would be the sign that they are cooked. Kutsay or garlic chive is onother must ingredient, however spring onion is a good subtitute. 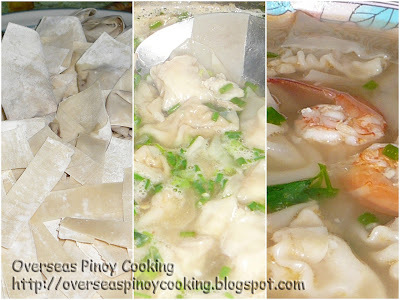 I don’t have taure so I have to settle for the usual pork and shrimp filling, here is the recipe of my pancit molo version. In a large bowl mix together ground pork, shrimp, onion, half of chives, finely chopped kinchay, soy sauce and egg until well blended. Season with salt and pepper to taste. Lay molo wrapper in a board with one corner positioned at the bottom. Put 1 teaspoon of filling in the bottom corner of the molo wrapper and wrap by rolling around the filling up to halfway to form a triangle with the rolled filling as the base. Moisten the corners of the folded edge with a dab of cornstarch solution, then fold the two side corners together, repeat with the rest of the molo wrappers and fillings. Cut extra molo wrappers into wide strips. Keep aside. In a big saucepan sauté garlic and onion until fragrant stir in the shredded chicken. Pour in 6-8 cups of stock (from boiled pork and/or chicken and shrimp shell/heads), bring to a boil and simmer for 2 minutes. Reduce heat to moderate low and add in the shrimps, molo dumplings and wrapper strips simmer for 3-5 minutes until all the molo dumplings floats. Season with salt and pepper to taste. Top with the rest of chopped chives and more fried garlic. Serve hot.